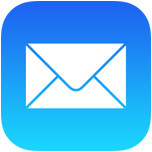 Effectively filtering the nonstop noise from email can make or break the productivity in your day, and VIP lists are one of the easiest ways to help this in iOS and OS X by emphasizing some senders over others. If you’re new to VIP listing, it’s a very simple to use feature that is practically guaranteed to improve your email workflow. Now when a new message is delivered from that person, they will have a star alongside their name in the iOS Mail listing. Don’t forget to set a unique VIP new mail sound as well, which will offer an audible cue as to whether or not a new mail message needs a quick response. 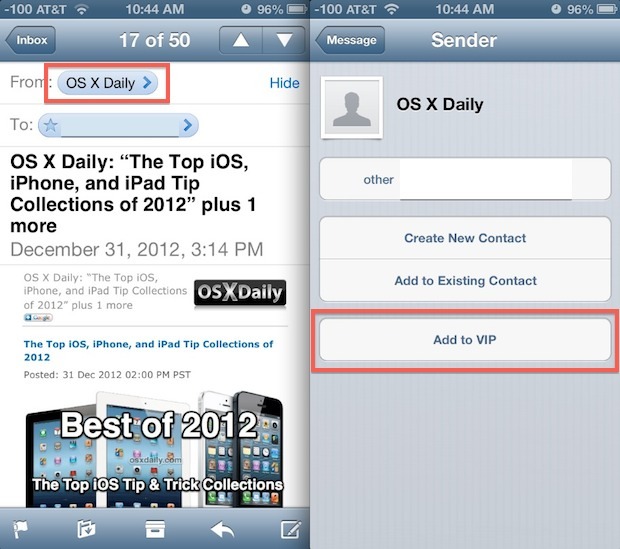 To view the VIP only email messages, tap on “Mailboxes” from your general inbox, then choose “VIP”. Generally, the smaller the VIP group the better, otherwise it will lose it’s significance as you mark everyone as VIP. Also, selectively adding and removing people on a per-project or per-need basis can dramatically improve your productivity and help filter out the less important emails, especially when deadlines are involved. Because it only takes a moment to do, it’s best to keep on top of the VIP lists and actively promote and remove people depending on current situations. For example, promote someone when working on a project with them, but once that project is finished they can go back in with everyone else. Some people you’ll probably always want to have in the VIP list though, like your boss and significant other, and maybe even some automated services if the messages they send are of critical importance. Changes to VIP settings will sync across to the desktop side of things if you have iCloud configured with a Mac as well, but don’t forget to address the desktop side of things in OS X like notifications, since that won’t sync between iOS and OS X (yet at least). Because it only takes a moment to do, it’s best to keep on top of the VIP lists and actively promote and remove people depending on current situations. For example, promote someone when working on a project with them. If you have someone on your vip list but your setting are set to delete iMessages 30 days after any message. Will the vip still stay there? I removed someone from my VIP list by accident. Now it won’t let me get them back when I try to put them in again.